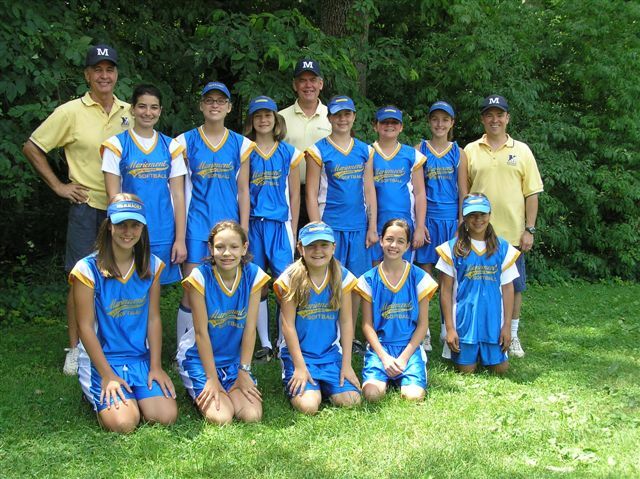 Welcome to Mariemont Recreation Girls Softball! The objectives of the program are to 1) teach and emphasize principles of good sportsmanship, fair play and teamwork, 2) introduce girls to the game of softball and teach the fundamental techniques of play - fielding, batting, throwing and pitching, and 3) have fun! Coach Pitch - 8 & Under Group - this league is designed for beginning softball players, ages 8&Under. The league includes teams from Madeira, Milford, Seven Hills, Deer Park, Tealtown, St. Bernard, Sharonville, Kilgour, Norwood and Sycamore. Twelve games are scheduled, beginning in mid-April and ending in early June. Fast Pitch Age Groups - 10&Under, 12&Under and 14&Under. Fourteen games are scheduled, beginning in mid-April and ending in early June. A players age group is determined by their age as of January 1st on that season, although girls can "play up" on group. Practices are held at the Mariemont Bell Tower, Dale Park field and Mariemont Junior High. There are normally two practices/week, starting around April 1st. Equipment: Girls are required to have a glove and are encouraged to wear mouth pieces. Softballs, bats and game uniforms are furnished by the Mariemont Recreation Association. For the 8&Under and 10&Under age groups, we use an 11" ball - the older groups use a 12" ball.